Tickets for Mind Body Spirit 2017 are on sale now. Book your place at this year’s festival here. 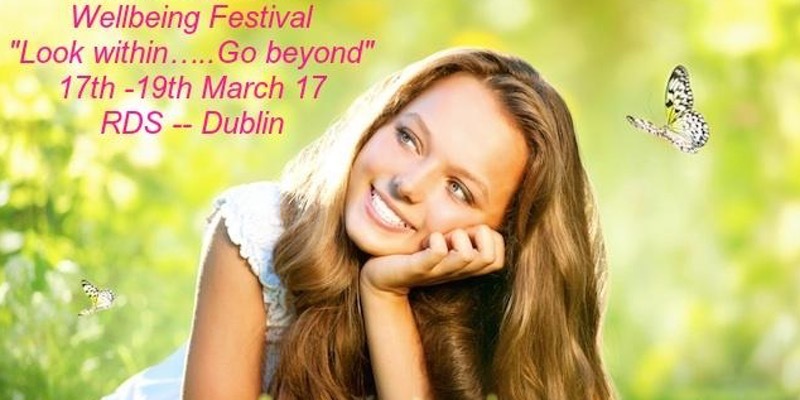 Ireland’s largest holistic and wellbeing showcase, taking place from the 17th to the 19th of March next, in Dublin’s RDS, features some of the world’s leading experts, authors and presenters on inspiring healing therapies and alternative wellbeing practices. Spiritual teachers, reiki masters, energy healers, psychics, and angel mediums meet with yoga teachers, life coaches, nutritionists, hypnotherapists and psychologists to examine new an interesting approaches to personal and spiritual growth. The three day Mind Body Spirit Wellbeing festival includes over 75 different workshops and lectures on alternative health and lifestyle subjects, such as angels, aromatherapy, bio energy, crystals, chakra tools, massage, healing, jewellery, food and juicing, music, meditation, reflexology, tibetan bowls and yoga therapy. A dedicated Yoga/Wellbeing Space will offer free classes and taster sessions, and over 150 stands provide the chance to discuss and sample new and established complementary and healing therapies. The live stage at Mind Body Spirit features a mix of musical concerts, dynamic dance, shamanic drumming, mediumship, yoga sessions and more, with 45 performances over the three day festival.